Anyways ... Enough of babbling ... I started writing this post to tell you about the new challenge at Crafty ribbons challenge blog. Your host is sweet Dawn, who chose "Black, white + one other colour" to be the theme for this challenge. I didn't use and DP, just plain white, black and purple cardstock, which I punched with my border punch. I embossed the white cardstock with Cottage floral embossing folder. The doily was actually white but I colored it purple with "Lilac" Paper soft colour from Viva decor. I bought this by mistake - I was actually looking for a purple stamping pad, but they didn't have it so I though that maybe this could work. Well, it sort of does, but it gives you kind of a "water looking" image when you stamp and this wasn't really what I was hoping for. But this colour turned out to be useful anyway. :) The fab polka dot ribbon (I LOVE polka dots!) 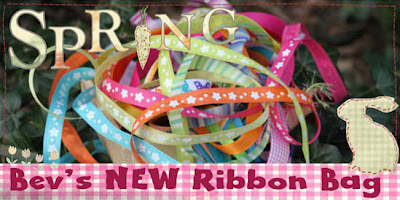 is from Crafty ribbons. I used the sweet Dress up Marci from La-la Land Crafts as the main image (isn't she just too cute?!) and I colored her with Promarkers and colour pencils. On the beads and "white" part of her hat I used diamond Stickles. I won the sentiment stamp some time ago at one challenge blog. On the scalloped circle I used pearl pen from Viva decor. Really cute! I like the purple and black together! Hi Cebelica this is absolutely gorgeous I really love these images they are so cute and adorable, the colours and design are super.